I. B. Tauris & Company, 9781860648960, 310pp. The remarkable story of how two brothers--Edouard and Andre Michelin--turned the sleepy family rubber firm in the heart of rural France into one of the most innovative and successful tire makers in the world. Edouard, a landscape painter, displayed an engineering genius for tire making and product innovation, while Andre, trained as an engineer, displayed an artistic genius for advertising and marketing. Together they kick-started the world's automobile industry and gave us one of the most famous and best loved company logos--the ""Michelin Man."" In their relentless search for new ways to publicize and market their products, they created a tourist industry around the motor car and their now-legendary Michelin Guides. Herbert Lottman is an American writer based in Paris and is the European correspondent for Publishers Weekly. 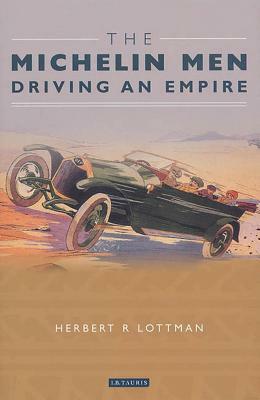 "[Lottman] delivers an intriguing history of the French family-controlled tire company... his readable account is surprisingly detailed about the inner workings of the business." "The historical vignettes manage to bring to life a time whose fierce competition and big personalities - not least two idiosyncratic brothers from provincial France - did so much to shape how we move around today."